H2OCanada serves as an opportunity to educate and inspire our local community to impact the ongoing water crisis in Africa, and around the world. H2OToronto was founded in 2011. The annual event has raised over $221,000 for WaterAid Canada to support clean water projects in Africa, and has impacted the lives of over 8,800 people. Madagascar holds a special place in the hearts and minds of the H2OToronto Founder and Committee. Several members of the team have visited Madagascar and have witnessed first-hand how the funds raised at this event can have a tremendous impact on the lives of women, girls and entire communities through the committed and driven work of our charitable partner, WaterAid Canada. H2OCANADA is a group of committed individuals who have been inspired by the stories and struggle of women on the other side of the world - Madagascar. We have witnessed the impact that something as simple as a tap can have on communities, from keeping girls in school to giving women time to focus on what matters: health, family and growth. We have also witnessed the great need that still exists and listened to the stories of illness and inequality that the task of fetching water can create. We are on a mission to impact and improve lives in Madagascar and we invite you to be a part of changing #herH2Ostory. 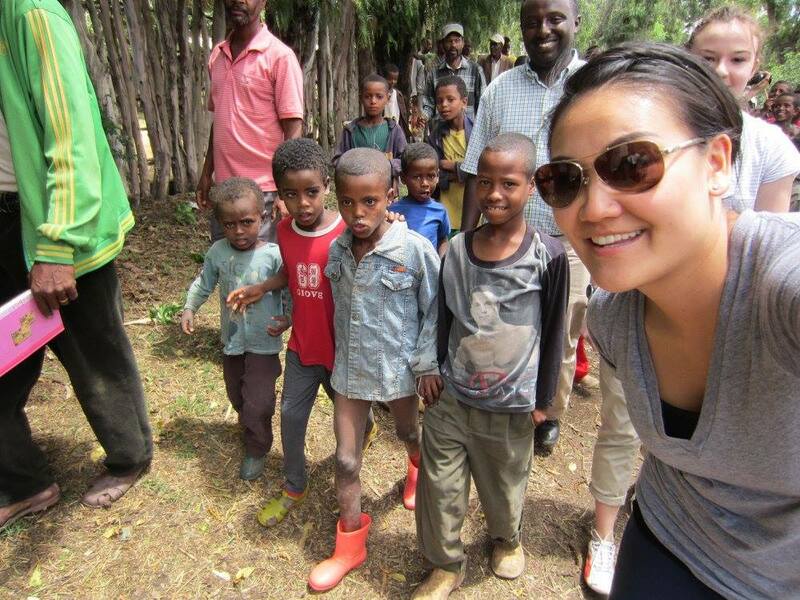 In 2010, Darlene traveled to Ethiopia to see the programs that WaterAid has implemented with her contributions. Darlene Paguandas is an Event Manager based in Toronto, and has spent the past 12 years working for Aveda Canada as their national event manager. In her role, Darlene has directed the annual Aveda Earth Month Campaign, which has raised over $5 million for WaterAid. In addition to her work with H20Canada, Darlene has produced various events globally, including fashion shows, corporate events, weddings, fundraisers, and private events in Toronto. H2OCanada would not be possible without our incredible volunteers. We say THANK YOU to everyone who gives their time and energy to make the event a success! If you would like to volunteer, email h2otoronto@icloud.com.